Let your mind and body wander — the Erie Dance Consortium is putting on its 10th Biennial Erie Festival of Dance. Erie is a diverse community, and when it seems like people can't agree or see eye-to-eye on certain issues, art becomes a valuable asset. Creative work often strengthens communities and ultimately brings people together because art allows you to see through a different perspective than your own. Sara Little, treasurer of the Erie Dance Consortium (or EDC for short), explains that their "mission is to promote and celebrate the art, education, performance, and experience of dance, while building participation, appreciation, and audience for all dance forms within the Erie community." As dance comes in many forms, so does the variety of talented dancers that showcase their abilities in the Erie Festival of Dance. "We are super excited to have 18 pieces (18 different choreographers, from 18 different companies, nearly 150 dancers) grace the beautiful stage at the Mary D'Angelo Performing Arts Center. This is certainly an achievement of our progression," exclaims Little. From master classes to community outreach, the EDC continues to provide dance to anyone interested in the Erie community. 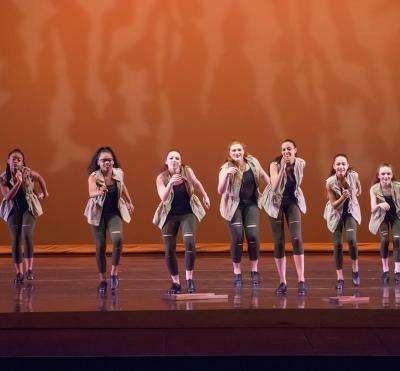 Whether you have little to no experience in dance, or you're a seasoned pro, there's a spot waiting for you with this all-volunteer organization.